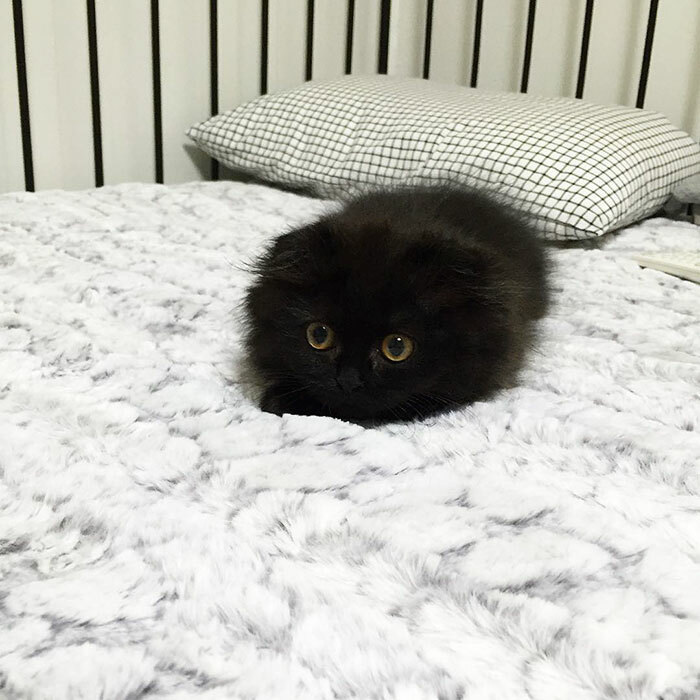 If you’re a Studio Ghibli fan, then you probably know what a Soot Sprite/Spirit (Susuwatari) is. 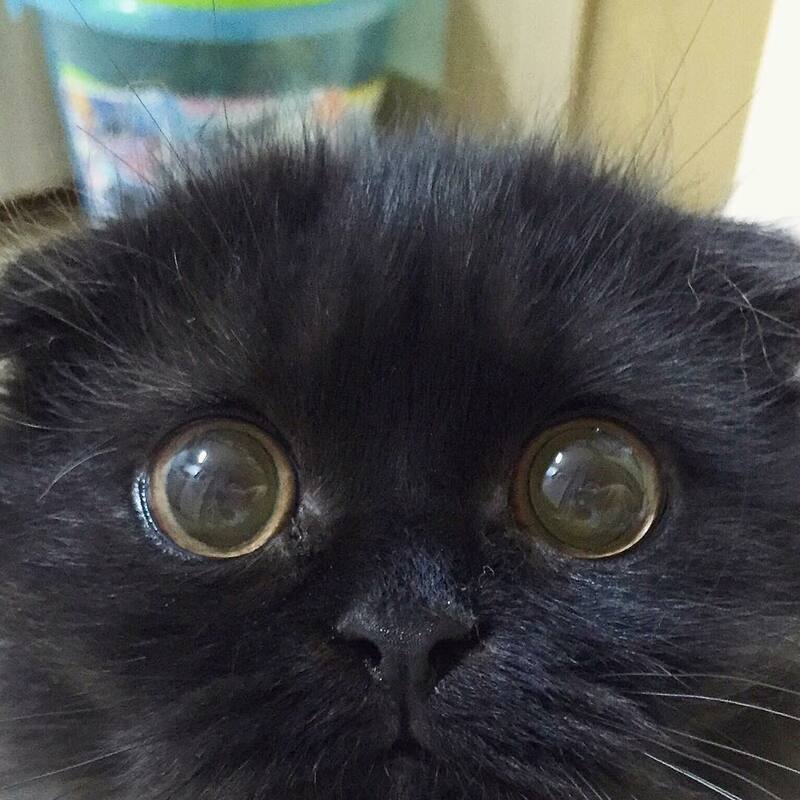 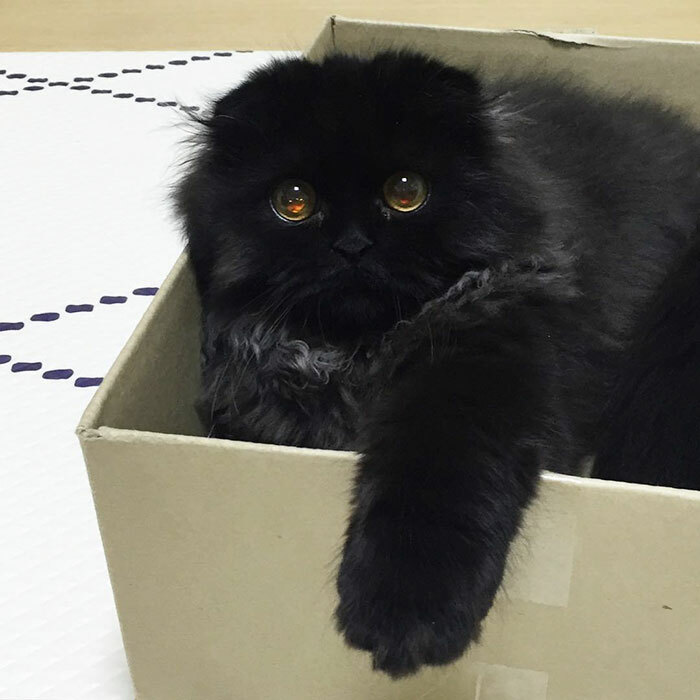 Meet Gimo, a Scottish Fold cat that is so fluffy that some are saying he resembles a Soot Sprite. 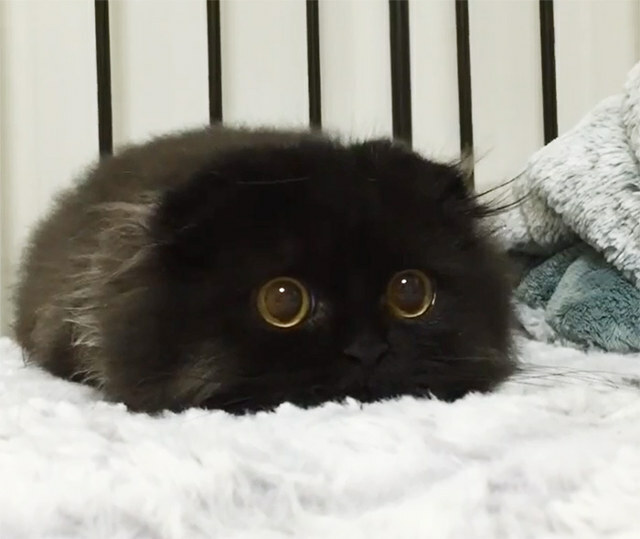 His black fur also gives the illusion that his eyes are bigger than normal which also gives off a concerned look on his face.